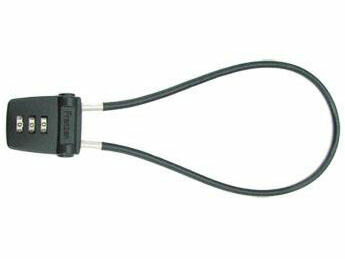 11130 Combination Cable Lock – Franzen International Security Products, Inc. 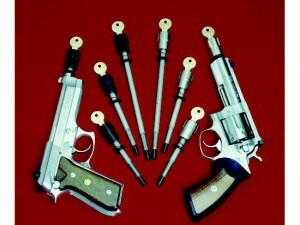 The Combination Cable Lock Used by Law Enforcement officers around the nation. High quality zinc die cast construction with black powder coating. 1000 possible combinations. Three-digit tumbler design with smooth and fast action movement and resettable code. Requires only three easy steps to be used on almost any firearm. Completely universal in fit. Our Combination Cable Lock is multiuseful, and has the smallest diameter pin on the market for a more diversified range of use. This cable lock is compact in size, has a cable length of 17 ½” to accommodate most firearms, and an indicator line to ensure proper security. Protects against unauthorized use and child tampering. Select your own code from 1000 possible combinations. Internal ejector spring for faster access. Indicator line ensures proper application. 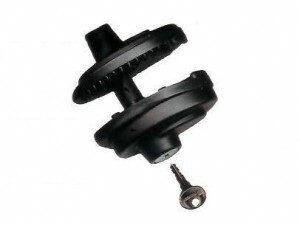 Small diameter pin for a wider variety of applications. Fits most firearms, including AR-15 Bolt Actions and Pump Action Shotguns. Used by numerous Federal Agencies, FBI, and Local Law Enforcements. All U.S. Patents have been granted. Do not use on a loaded gun. Always pull on secured cable to test connection. Ensure cable has been inserted to indicator line. This cable lock provides additional safety for gun owners. It is not a substitute for other safe gun handling procedures.